Sixteen years ago I moved around the world. From New Zealand to the United Kingdom … the shortest flight time is 24 hours – regardless of which way around the planet you choose to fly. I make it back for a visit to my original ‘home’ every 2-3 years. Timing usually coincides with family events, as my mother, sister, nephew and 3 nieces are all still living in New Zealand. This time my primary reason for going was to explore business potential. Researching whether basing some or all of my business in New Zealand is a feasible option. 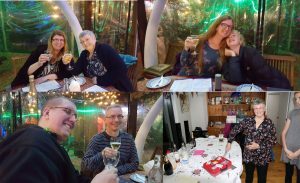 The timing was specifically chosen so that Gareth & I were there to celebrate my mother’s 70th birthday. An amazing privilege to party with her, our close family and her dearest friends. We are in New Zealand for a month – with meetings scheduled in Auckland and Wellington with coaches, entrepreneurs, investors and potential clients. And I decided that the first ever speaking event I would host would be in Auckland … my ‘home’ town. Where my family and long-term support network are. I wanted to honour the land and the people of the country where I grew up. To reconnect with my first 3 decades of human becoming. 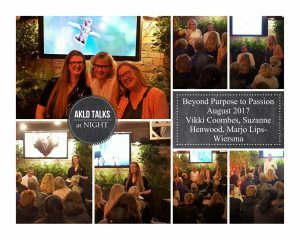 The three speakers for the night were Dr Suzanne Henwood, Professor Marjo Lips-Wiersma and me. Suzanne discussed what the difference between passion and purpose are before introducing a mBraining perspective to the debate. Marjo introduced her ‘Map of Meaning‘ to the room and spoke about it in the context of people’s working world. And I rounded off by talking about how those of us with so many interests, who pursue our curiosity wherever it leads us are never going to have the ONE passion or even the ONE purpose. However, what we DO have are underlying patterns. And that by recognising our own patterns we may make meaningful conscious choices about how we experience our own lives as well as impact the world around us. We had an audience of ~25 people in the room. And discussions were voluble during the break. The question and answer panel was challenging as people made us think deeply to give them meaningful responses. 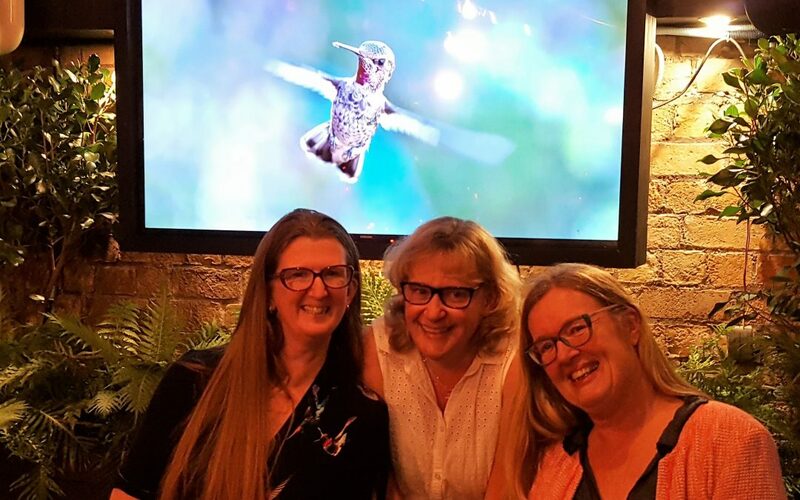 I was thrilled to speak with people in the audience who had resonated with the Hummingbird analogy – who recognised themselves and felt great relief for the first time. Suddenly they knew that it was more than ‘ok’ to have many ever-changing and varied interests. They stepped into a place where they have so much to offer the world that no-one else has even dreamed of yet. What an amazing moment that is for individuals and I am privileged to be a small part of their journeys. I had to dig deep to find the courage to launch a speaking event in New Zealand. I am thrilled with how everyone engaged with us as speakers and with the material we shared. It was wonderful to share the stage with women of calibre and influence. I am excited about the idea of delivering another event in London when I return to my ‘home’ for now.